With over 30 years experience from within the industry, Paxton are experts in designing and building the latest access control units to be installed at your home or business. Paxton offer a wide range of access control systems that ensure the highest level of protection is obtained. Paxton specialise in providing world class access control security systems that provide customers with the level of security they need to ensure they are protected at all times. To ensure this , Paxton continuously research and develop their security systems to ensure the highest level of security is achieved for every customer using their systems. 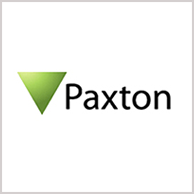 Paxton manufacture their products locally in East Susses and export to over 60 countries worldwide and have over 270 employees located at 12 other locations across the globe , this here makes them one of the leading providers of advance access control systems. The new NET2 ENTRY revealed. Paxton have now released the latest in access control technology with the NET2 Entry. This newer system offers even further protection than before allowing for a safer environment. Paxton were pleased to announce that there Net 10 access control system has won the innovation award for 2016.